This was a pain in the neck to mod. Finally got there though. I'm quiet pleased with how it turned out overall. The paint I went with a 2 tone job. A metallic blue and a one I found very interesting which was Pearl Touch, its a flip paint so color varies depending on light. 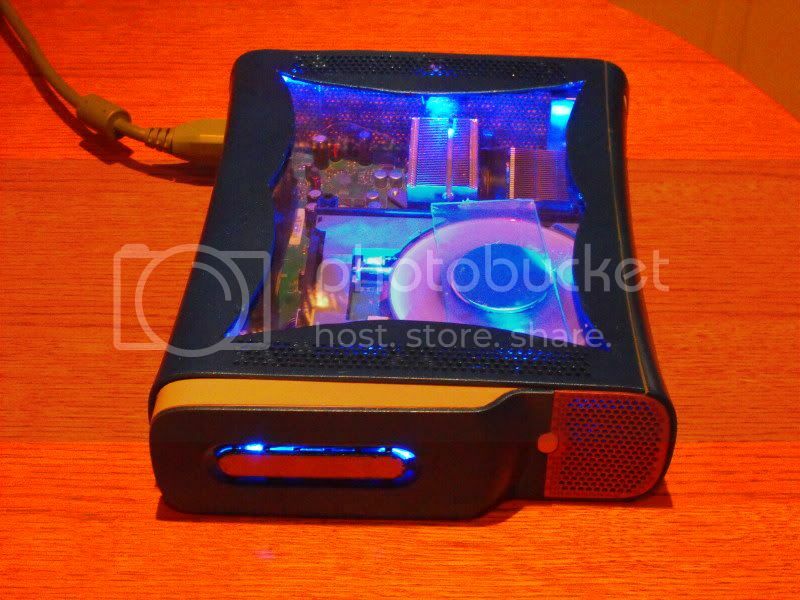 I cut out a nice case window and lit up the interior with a total of 9 blue led's. I added additional cooling by the heatsink. 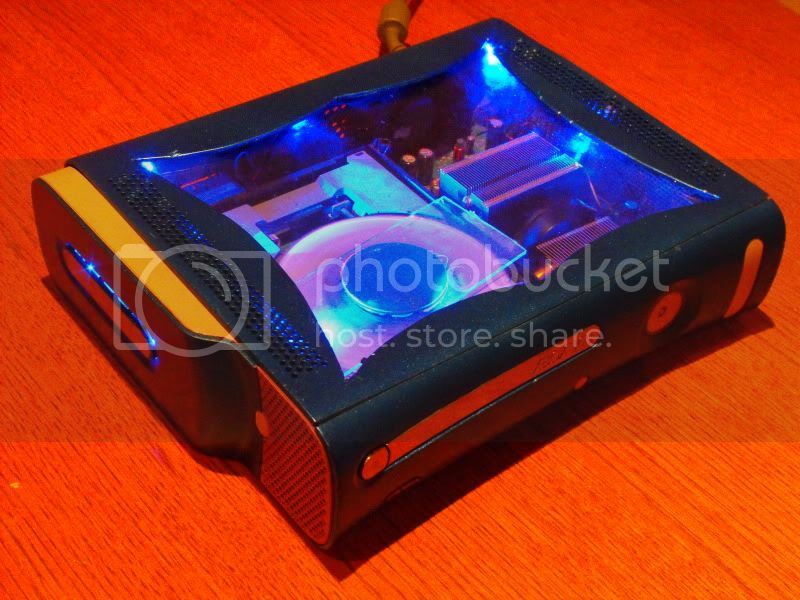 The effect I was looking for with the fan was to make it look like it was hovering inside the case, so I've removed a lot of the fan surrounding. The last mod to the interior of the case was to make the disc drive clear so you could see the disc spinning while in play. I like the way the led's illuminate the plexi over the disc. 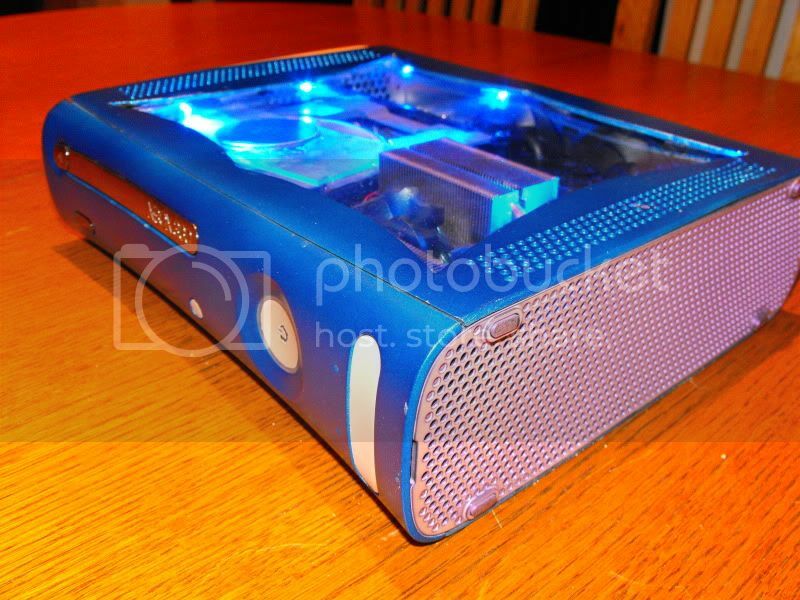 The hard drive saw no mercy either and recieved a matching paint job and 2 leds in the opening. On the front panel I've filled in the slots for the memory cards as I didn't even know what the slots were for until I looked into it some more lol. It came out very well. 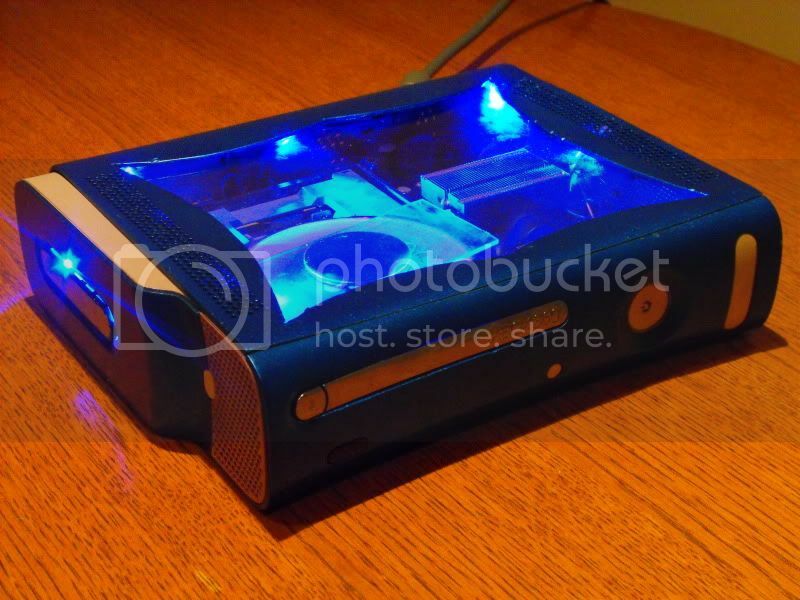 I've swapped out the colors on the xboxs ring to blue to match the body of the case. VERY SWEET! Thanks for showing us! 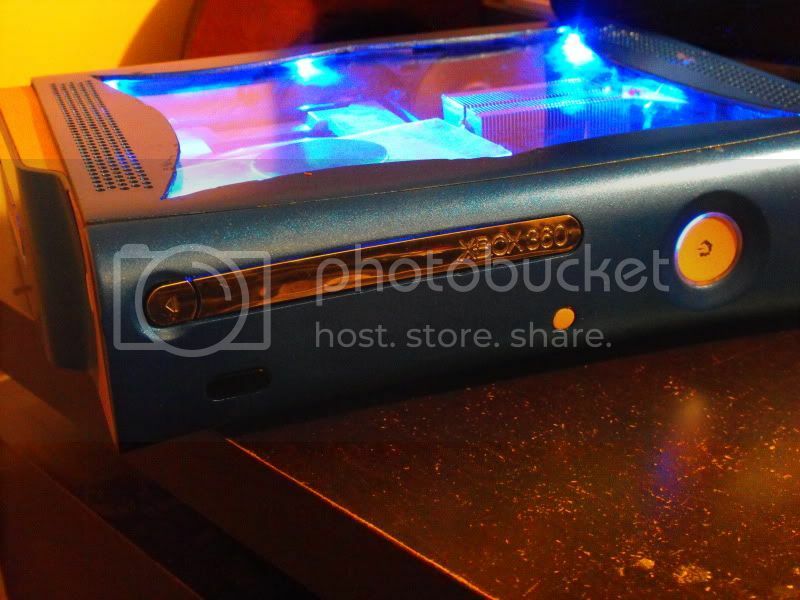 Have you or your friends done any other 360 mods? We sure would like to see them!